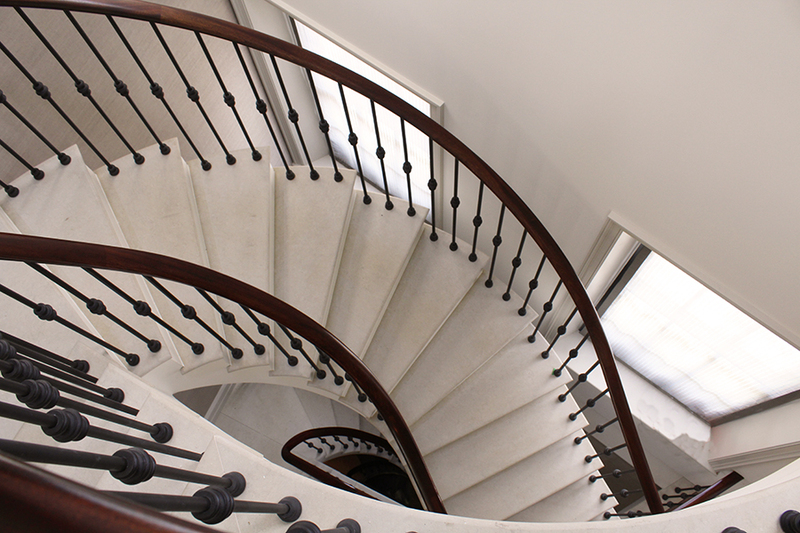 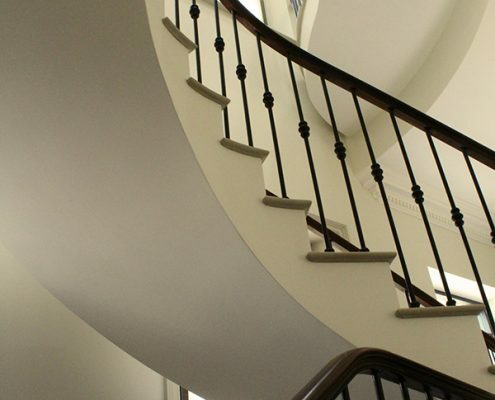 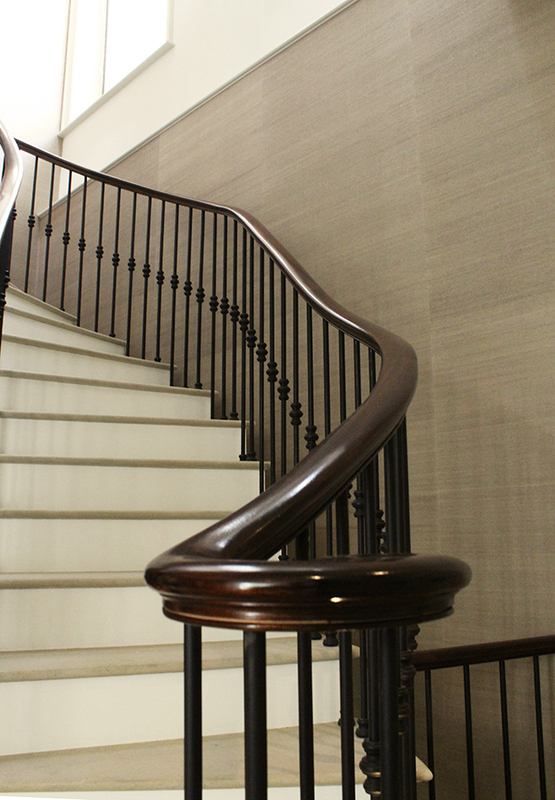 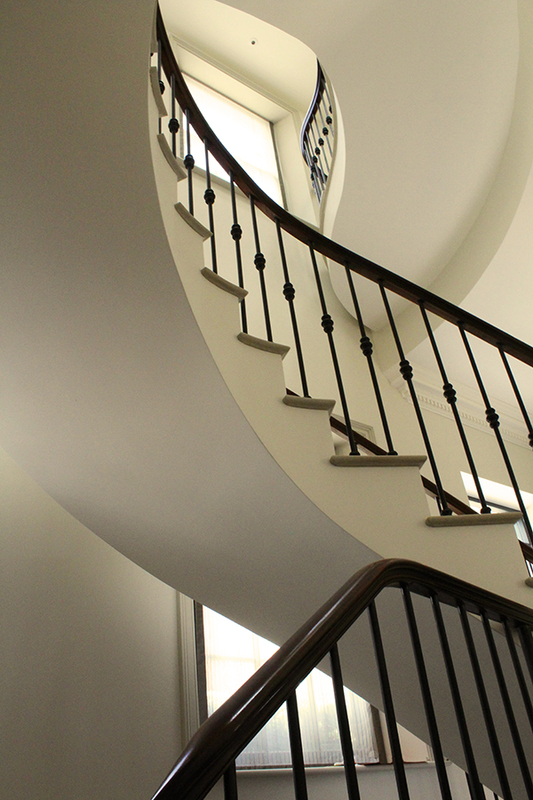 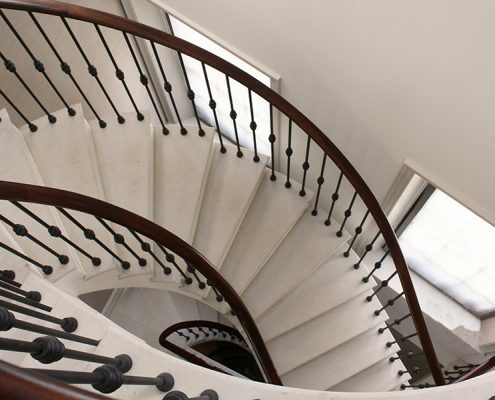 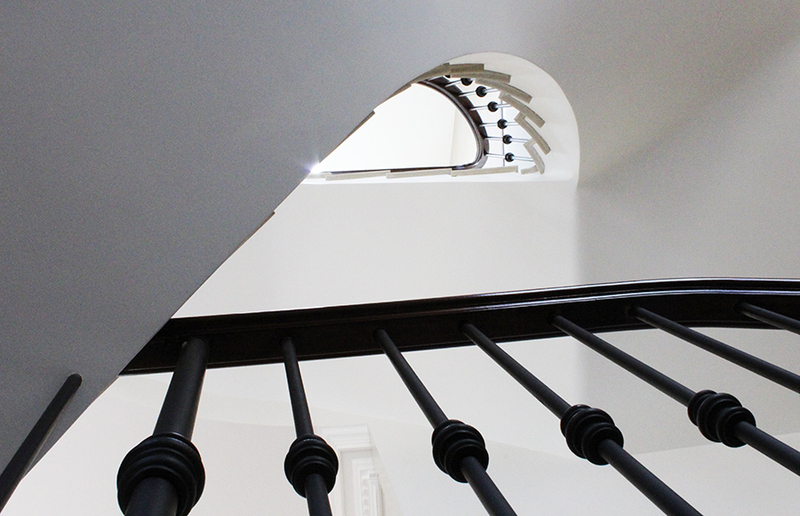 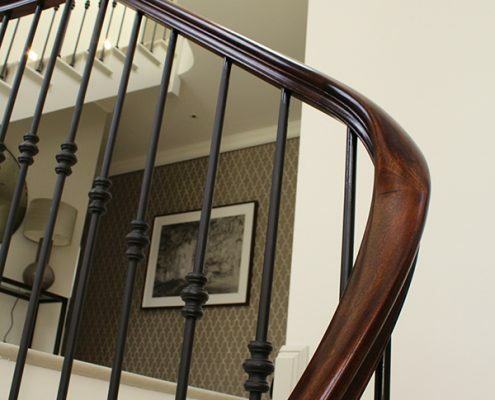 These sapele (mahogany) handrails were made to measure over four sweeping flights in this beautiful Kensington home. 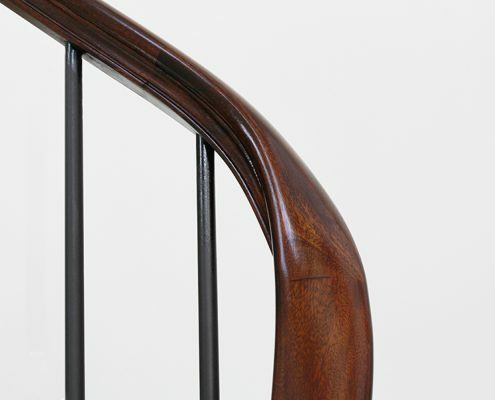 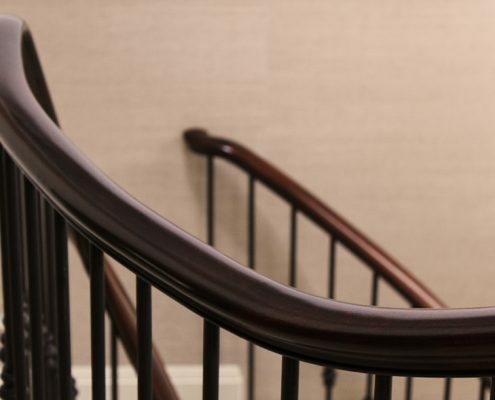 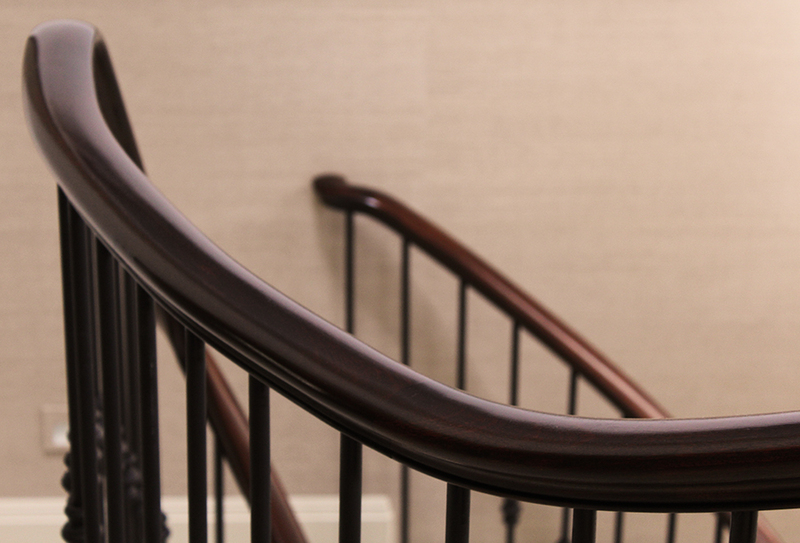 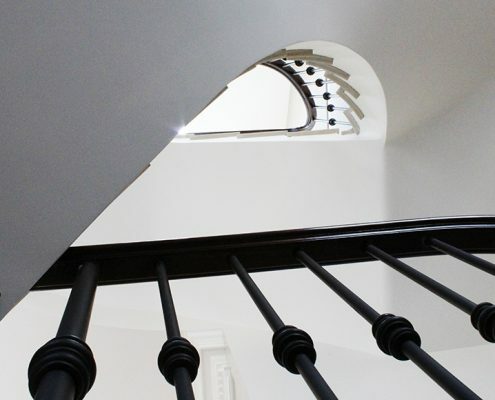 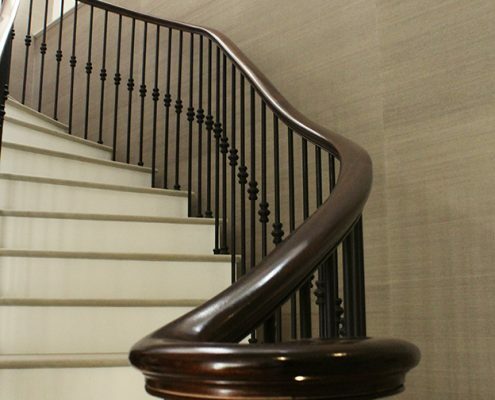 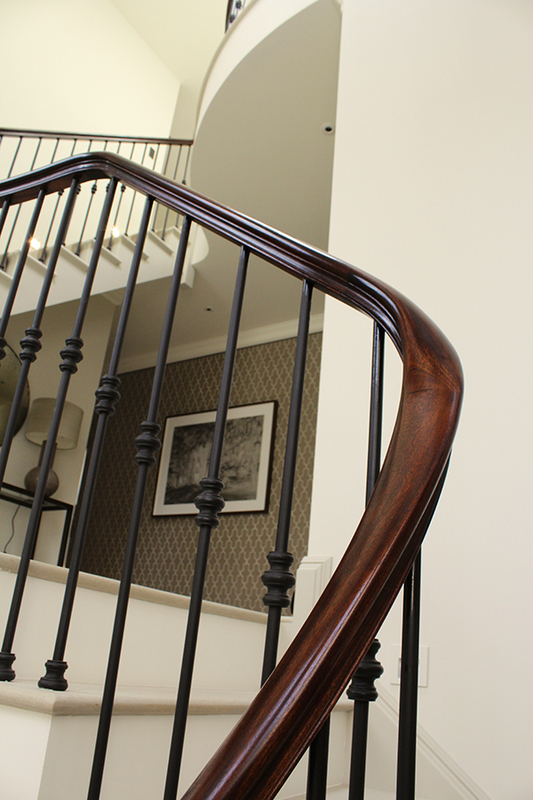 The team worked closely with interior designers at Albyns to help create this stunning dark wood handrail which sets off the feature staircase. 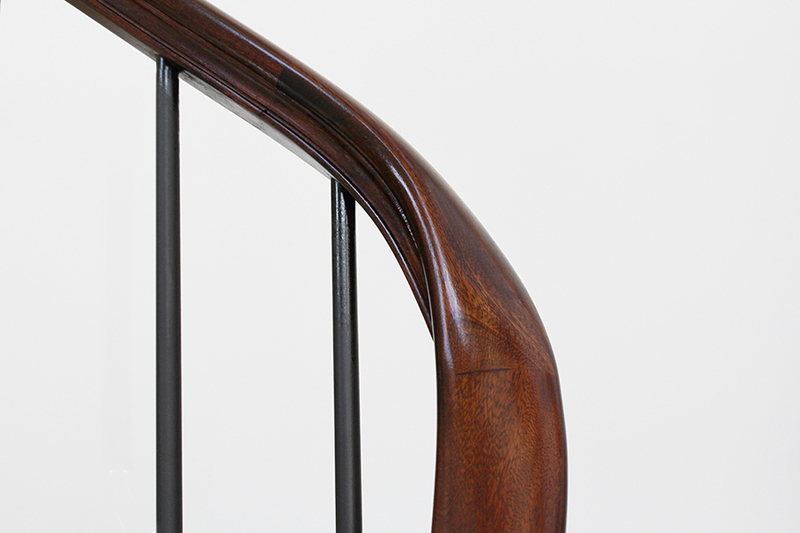 The profile of choice was one of our standard ones, and we loved the project so much, that we re-named the shape after this house. 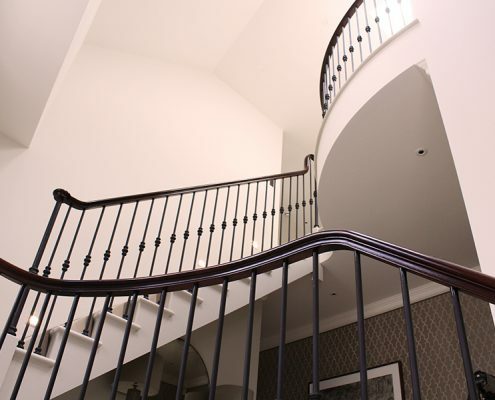 All CNC manufacturing was done in our factory near Manchester, including drilling for individual spindles, saving time and cost of a steel core. 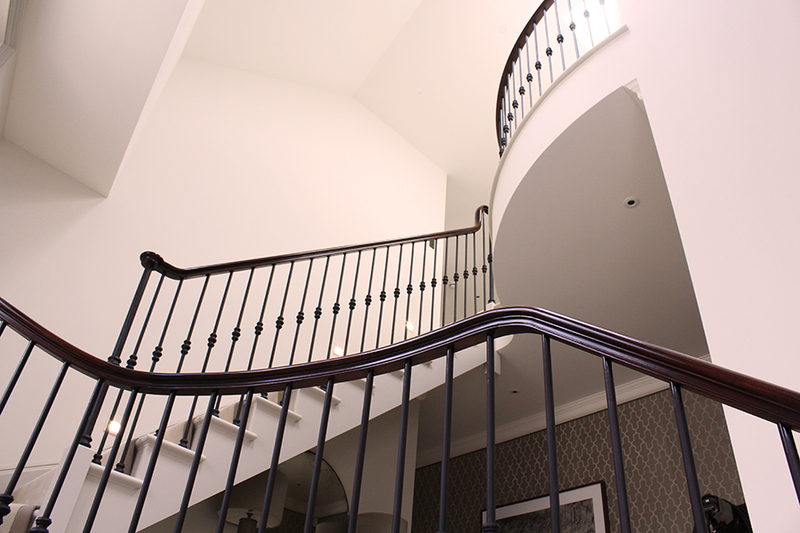 This project demanded maximum precision, so that our craftsman could install within a matter of days.